Nearly all of Tuesday’s ballot measures passed. The LaGrange County Clerk’s office confirmed the levy for Westview schools received overwhelming support from voters with a 92 percent approval rate. 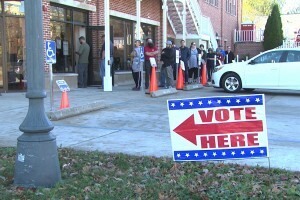 Hobart and Hammond schools also received voter approval for their proposals. Meanwhile, 70 percent of voters in the West Clark School community rejected their $95 million referendum for major renovations at Silver Creek High. Indiana voters will decide Tuesday whether to approve new tax measures for school operating budgets and construction projects in Hobart, Hammond, Westview and West Clark schools, who have set forth proposals with millions of dollars on the line. Hoosiers decided the fate of 20 different school funding referenda just last year, and only three of those failed. After the state passed legislation to cap property tax rates in 2008, an increasing number of school corporations have turned to this community-based funding solution. Purdue University economist Larry DeBoer says some factors could make it tougher for this week’s measures to pass. He added, however, that they could just as easily go against past data, due to the number of variables in different school communities, tax plans, and campaigns for each referendum. 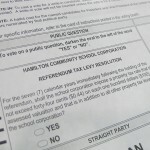 Hobart Schools have asked voters to approve a pair of referenda officials say are tax neutral. Those include renovation plans with a $41.2 million price tag, as well as a $2 million operating budget to support programs and student transportation. In West Clark, major renovations for Silver Creek High would receive a large portion of their $95 million bond budget, but nearly all the schools in the district would see some money for their own improvements. Hammond schools have the largest dollar amount at stake – they hope to pass $110 million for construction of a new school, and a $70 million school levy for teacher pay and program costs.